Traveling Mobile Notary Services Traveling Mobile Notary Public, Closing and Signing Agent Services. Notaries, Closers and Signers come to you. Public Notary Services are provided everyday. Mobile and Traveling Notary Public services are provided in Palm Beach County by A.C.E., Inc. a twenty year old company. We handle Notary, Closing, Signings and Signature Authentication Services to all addresses, personal or business, in Palm Beach County Florida. We employ Florida State licensed traveling mobile notary agents who will assist you with your notarial needs. Our per signature Notary fee is $10.00. in addition, we charge for the time associated with our meeting you. Our overall total fees depend upon mileage, amount of time required to assist you, the appointment timing; i.e., am / pm, after or before hours. We also offer printing, scanning and can return notarized documents by messenger or via Overnight Express. Our notarization attests authenticatingthe signature ONLY. Therefore, you must have proper identification before we can notarize any document. Documents such as any government issued license, passport or identification card. Our notary services are fully compliant with Florida Law and we expect all perspective clients to have a clear and current photo id and if witnesses are going to be part of the notorial process, they too must have a photo identification card. WE TRAVEL TO YOU, YOU DONT COME TO US. Our licensed local traveling and mobile notaries and signing agents have the experience to properly fulfill the legal requirements of lawfully notarized documents for anyone and within any profession. We promise to show up on time and dressed nicely. We are polite and conduct ourselves in a professional manner. We pledge to make sure all clients are satisfied and well taken care of. Ask about our Witness Assistance Services. 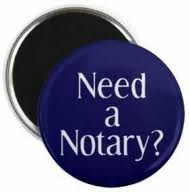 Need A Witness to be available during your notary signing? We can assist you. 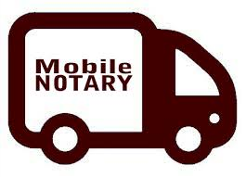 We offer mobile and traveling notary services everyday and all hours. Our Public Notaries and Closers and Sighning Agents travel to a place and time of your choice. takes place at a time and place of your choice. We do not have office meetings. We come to you ONLY. We Guarantee on time and Professional Notary, Closing and Signing services. Anywhere, Anytime Mobile and Traveling Notary Public Services; WE COME TO YOU! A.C.E. Mobile Notary and Closing and Signing Agent Services is owned and operated by the Agency for Civil Enforcement Corporation. We are Private Notary Public Agents in Palm Beach County Florida. We are proud professionals who understand the importance of what we do for our clients. To better serve and protect our clients, we require proper identification for every person who requires a notary. There are no acceptions. Our Notary Services are offered on a same day basis yet can be arranged in advance. We accept appointmentss in advance and can offer lower notary fees if your request is at least two days prior to when and where the notary signing will take place. Fees for notary services handled on the same day are more expensive than if handled the next day, In other words, the faster you need a notary the more expensive the fee. Fees are especially more expensive after normal business hours and or on holidays. We will make very effort to offer you the least expensive fee and will advise you how you can take advantage of any discounts or special offerings that may be available. SAME DAY TRAVELING AND MOBILE Notary Services, Closing and Signing Agents are available at and time and place of your choice.